We have you covered every step of the way! CyberLynk not only owns and operates multiple datacenters but we can provide a wide variety of services to make your life easier. 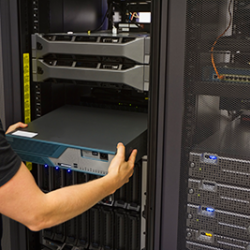 Our highly skilled engineers can help with everything from planning your migration to racking your equipment to providing a highly customized network through our Infrastructure-as-a-Service offering. 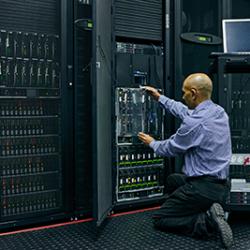 We know how confusing and expensive moving into a datacenter can be which is why we have a solution for every customer. 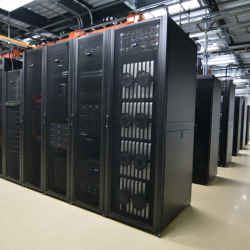 Colocation can be tailored to your specific needs. Whether you have 1U rackmount servers, tower servers or odd shaped servers we can provide you a solution to fit your needs. Our colocation service can provisioned within 24 hours and our engineers will be ready to help you move into your secure colocation space. Engineers are always available to answer all of your questions and make the migration to our datacenter as smooth as possible. 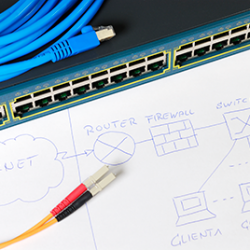 Are you new to colocation? No problem, we will hold your hand through the whole process. There is nothing to it! CyberLynk understands that whether you are 10 miles or 2000 miles from your servers and related equipment things happen. Routers lock up, servers hang, servers need to be upgraded, new servers need to be installed, and the list goes on. No need to worry though. Simply open a support ticket and one of our highly skilled engineers will help you. The first 15 minutes per task is always FREE. With highly skilled engineers always available to help you in your time of need you no longer have to worry about how you will manage your equipment from a distance. 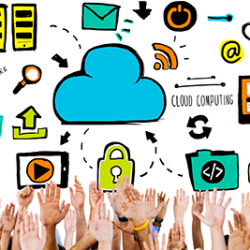 Migration Services – Let CyberLynk Help You! FREE racking of equipment! Just ship us your equipment and we will take care of everything. Our engineers will take pictures upon receiving the equipment, notify you of any issues and then our engineers will rack the equipment per your drawing just as you would if you were onsite. Or if you want to install your equipment yourself our engineers are always available to lend a hand. CyberLynk engineers will work with you to make sure you migration into the datacenter goes smoothly. There is nothing our engineers have not seen or had to deal with so we encourage you to lean on CyberLynk to get you started. Tired of spending thousands of dollars to upgrade your network and fighting with management for the approval of capital expense budgets? Let CyberLynk help you with that. CyberLynk leverages our partnership with Cisco and Supermicro to provide you almost any high end networking and server environment you can dream up. Not interested in designing your own network? No problem, give our Cisco engineers an overview of what you are trying to accomplish and they will design an ultra fast network to not only fit your needs but your budget too. Need server infrastructure too? We have you covered. 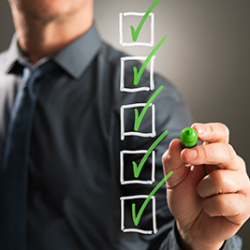 Colocation Features – We Have You Covered! CyberLynk understands how difficult it can be to compare apples to apples when you are looking at colocation providers. This is why we offer a simple pricing model that is posted on our website, a TON of FREE features that other colocation providers charge for and whenever you need something we encourage you to ask. Chances are we can help you solve your issue quickly without having to spend any additional money. Remember, FREE CAT5 cables, FREE Power Cords, FREE PDU, FREE Remote Hands, FREE Cross Connects and much more! CyberLynk has built a family of companies through acquisitions and services that have grown into their own brand over the years. Learn more about our Family of Companies and how we can provide one stop shopping for all your Internet related services. CyberLynk can handle all your Internet and hosting related needs from domain name renewals, website & email hosting, spam & virus filtering, Virtual Private Servers, dedicated servers, colocation and much more.